Happy Friday everyone! 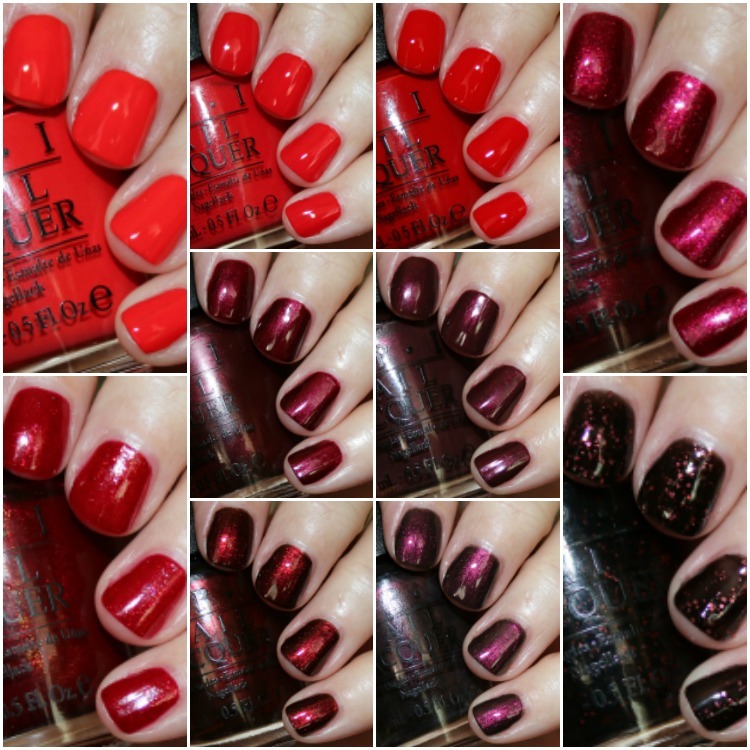 Today I have my favorite red OPI nail lacquer colors! Red is a nail shade I very rarely ever wear, unless it’s a really dark, vampy shimmer. And I tend to only wear those in the winter for some reason. 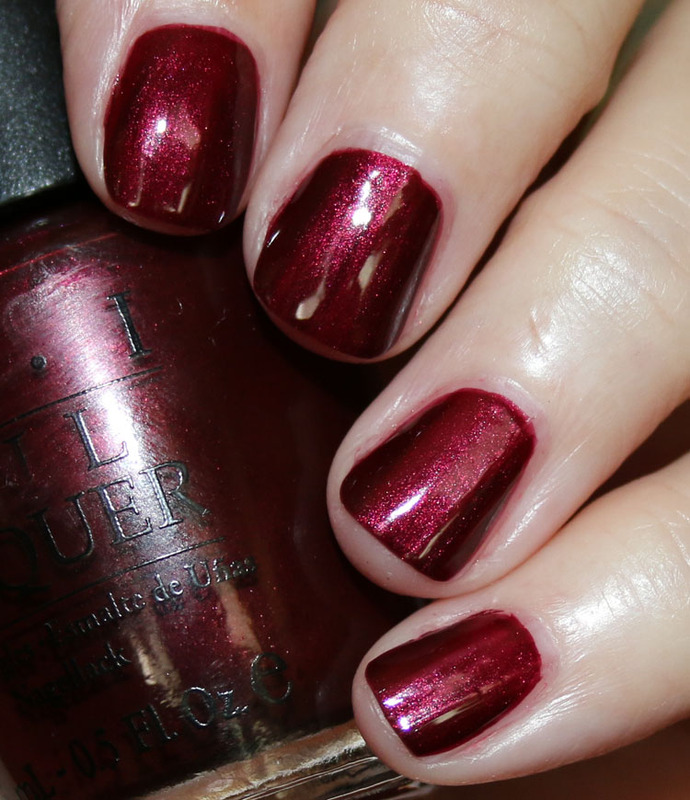 But even though red doesn’t don my nails all that often, there are some REALLY beautiful OPI reds out there that deserve some love. 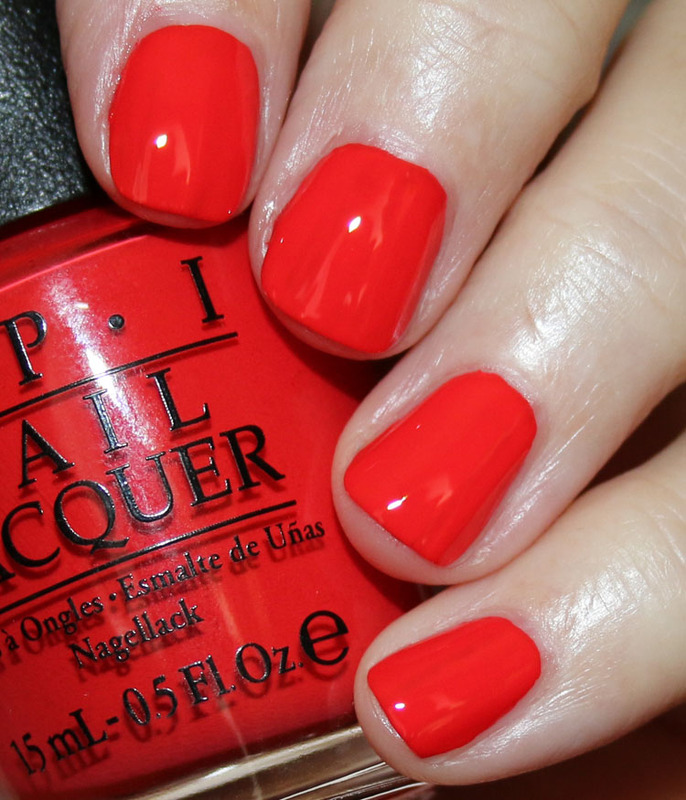 And OPI tends to be really exceptional at red! These are all new swatches (I am re-swatching them all as I go) but again, I won’t be discussing formula or anything since I have already reviewed these shades on here in the past. Meet My “Decorator” is just THE quintessential bright tomato red creme. I love how vivid and pigmented it is. Coca-Cola Red is the ultimate classic red creme. Beautiful. Having a Big Head Day is very close to Coca-Cola Red, but it’s a tiny bit darker and more of a creme/jelly look. Let Your Love Shine is deep, shimmery and lovely. 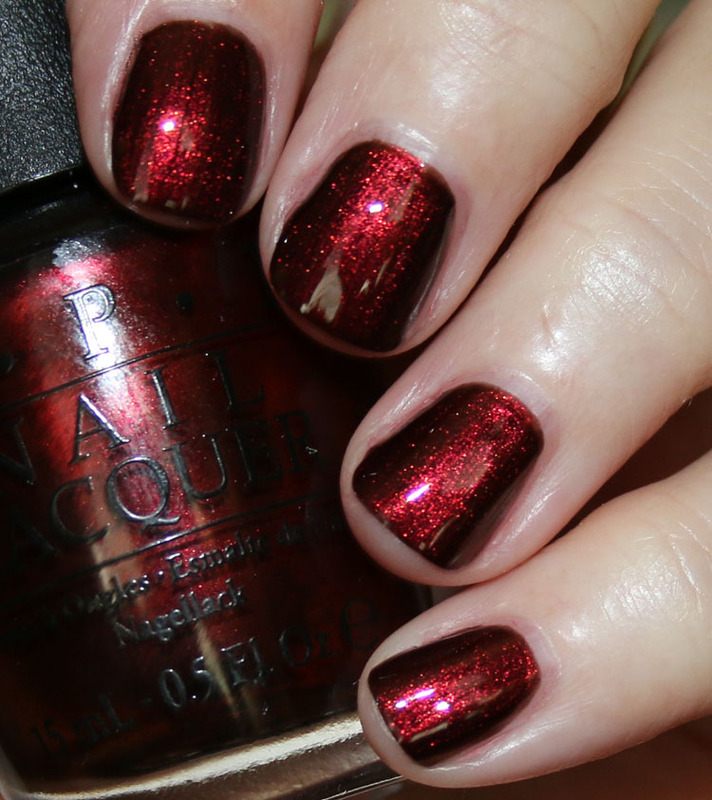 Smitten With Mittens is a great red with tons of gold shimmer, which is easier to see in person. Glove You So Much! 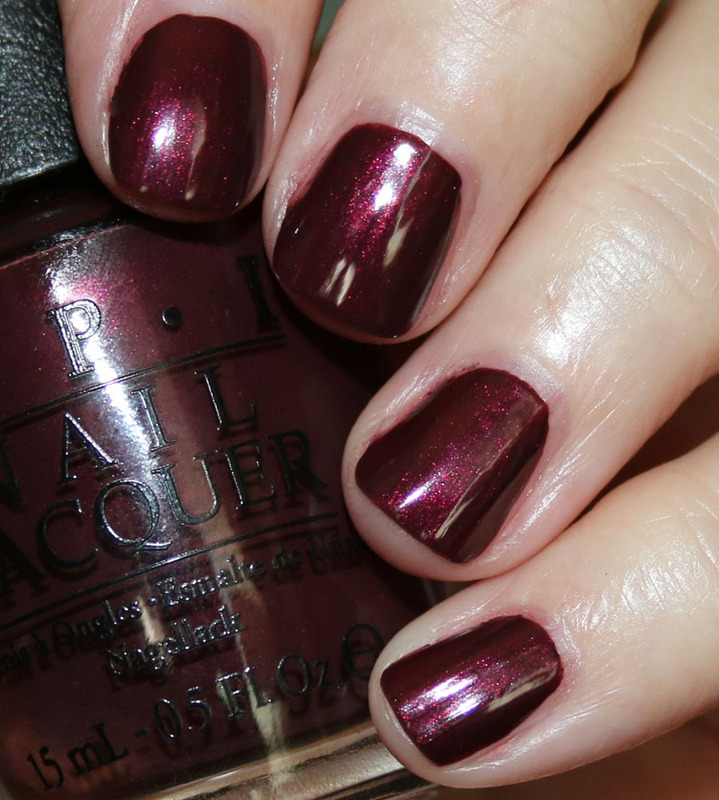 is a nice medium/deep burgundy red shimmer. 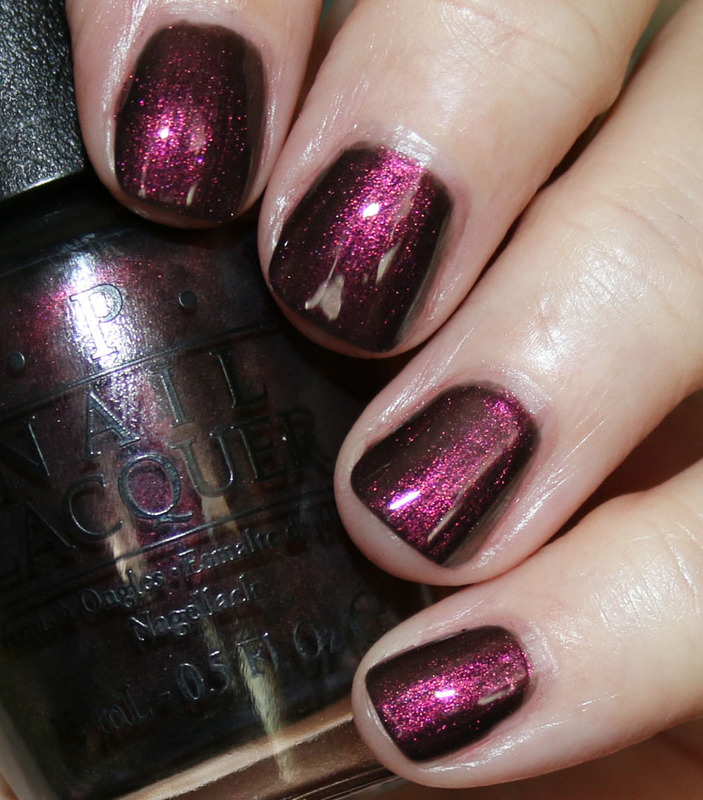 Sleigh Ride For Two is a slightly darker and more purple-leaning version of Glove You So Much! German-icure by OPI is hands down my favorite OPI red ever. LOOK AT THAT GLOW!! Stunning. Muir Muir On The Wall leans a little more towards purple than red, but it can go either way, really. Today I Accomplished Zero is a unique glitter and one of the few glitters lacquers I actually like. And there you have it! 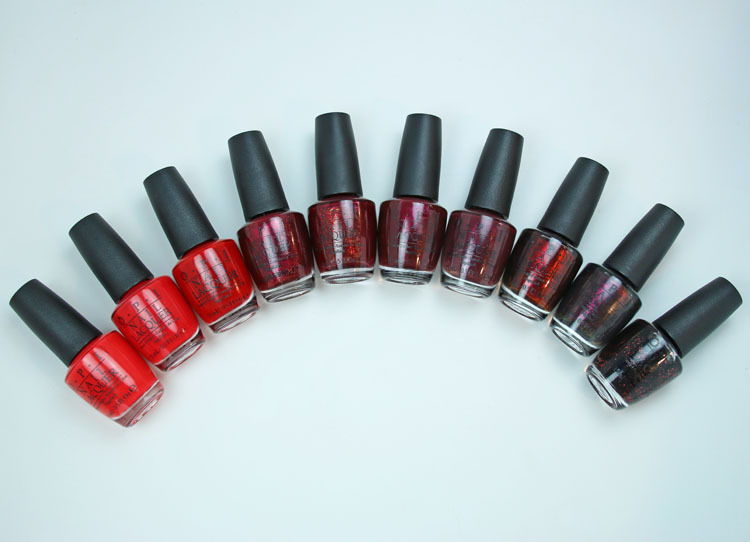 A bevy of pretty red lacquers. Which of these are your favorites also? Which ones do you think I missed that should have been on my list? Love all these. What about “I’m not really a waitress?” That’s a classic, too. How about “I’m not really a waitress” or “Affair in Times Square’? Whenever I want to buy a red, I go to OPI, however I wish OPI had more variety of other colors were more creative. 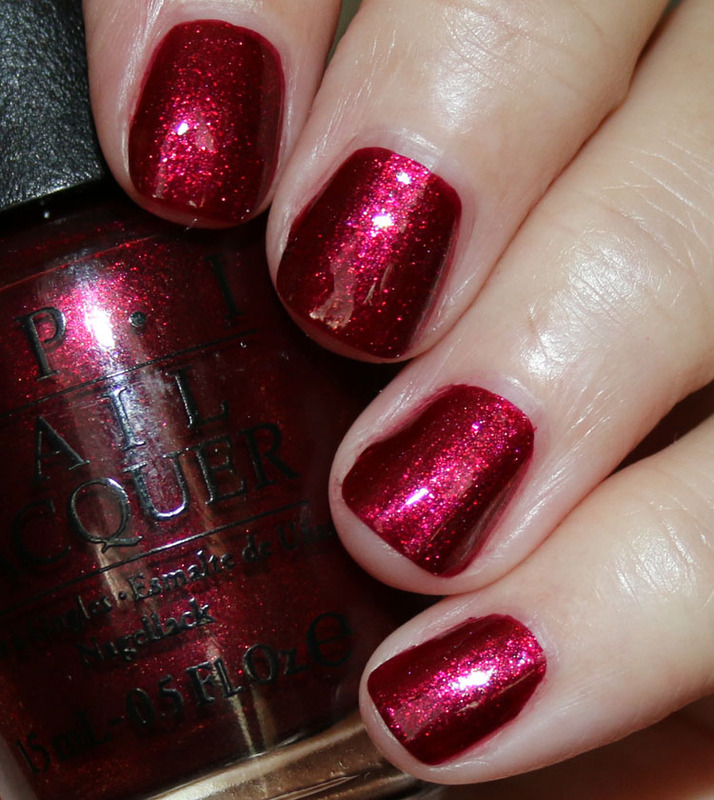 In mi favorite red colors by OPI are Coca Cola Red, Vodka & Caviar, Under the Mistletoe, and Big Apple Red. Kelly, I am enjoying these types of posts! I love seeing other people’s collections and favorites! Love Coca Cola Red; also Vodka & Caviar. Germanicure looks nothing like that on me. I’m very pale skinned and Germanicure is just dark on me. Same with Smitten with Mittens. I wanted to love it, but just skews darker on me. However…The Spy Who Loved Me from the Bond collection is 200% awesome. Not sure how I never picked up German-icure before I love it. I also like Vodka & Caviar. Can’t wait to see the next favorites post! 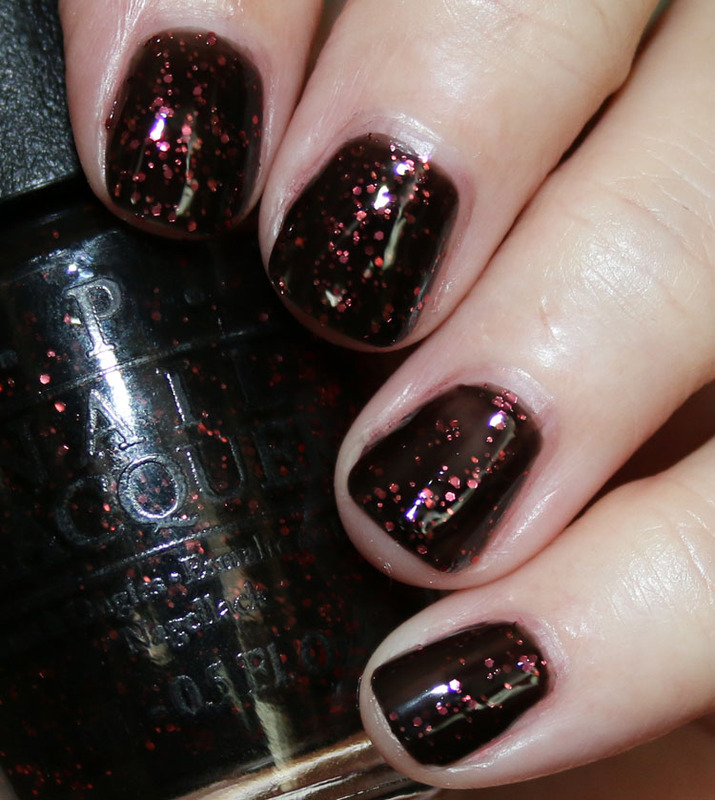 Romance on the Moon, Malaga Wine, Black to Reality, Sending You Holiday Hugs , and Guys and Galaxies are my favorite OPI reds. Cinnamon Sweet is my favorite go to red. Muir, Muir on the wall looks disappointing ly brown on me. I also like 5 apples tall for a summer red. How about Royal Rajah Ruby? I do not own any of these.. how did that happen? but.. I do own Big apple red which is my favorite red..
I’m not really a waitress and malaga wine are two that I also love!! My very first OPI polish was Got the Blues for Red. It’s still my favorite, but back then it didn’t wear well on me. I remember having a professional pedicure and the polish lasted 3 days and it chipped. My toes never chip. That was in 2006, and I’ve only recently revisited their non-designer series polishes. I’ve had decent luck this go round. Thank You So Muchness from the Alice in Wonderland collection. I would get soooo many compliments…very sad when I ran out. Like many other commenters I adore I’m not really a waitress but for summer I adore Red Hot Rio, it looks like a hot tamale! I also love Chick Flick Cherry, a deeper, more blue-ish red!